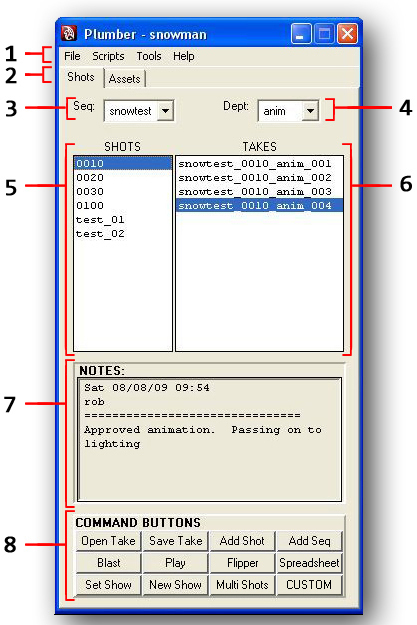 The Shots Module is where Production files are saved and passed from department to another. Playblasts that are linked to production files can be created here. They can be played back from here as well.